Professional Skills Training Guides from C.H.I.P.S. Gain a reputation for superb service, start to finish. 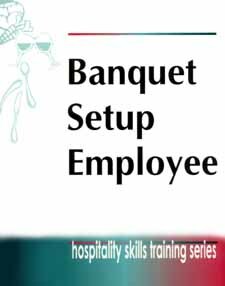 This guide provides the basis of a six-day training course for new employees and current employees. Tabs 2, 3, and 4 provide details on how to train new and current employees using the Job Knowledge, Task List, and Breakdowns. What are a Trainer's Responsibilities?